Over 40 teachers, school support staff, parents and campaigners attended a public meeting on 1 April called by Waltham Forest Trade Union Council as a response to education cuts in the borough. Opening the meeting, its secretary Linda Taaffe explained that while the meeting was instigated because of threatened redundancies at Henry Maynard School in Walthamstow, this is part of a national crisis which has seen £5.4 billion cut from schools budgets since 2015. On the platform were local trade union secretaries Janet Walker (public-sector union Unison) and Steve White (National Education Union). 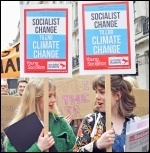 The NEU has held a positive indicative ballot against the school's proposals. Steve said any campaign must not follow what has happened in some schools elsewhere where teachers have volunteered to take pay cuts in an attempt to save jobs. He also pointed to the scandal of academy schools, including in Waltham Forest, where money has been siphoned off to the benefit of senior teachers and their families. After contributions from the floor - including from teaching assistants whose jobs are under threat - Linda summed up and proposed launching a campaign against school budget cuts. She proposed that the trade union council reassembles after the April school holidays to discuss the plans, including encouraging all school workers to join an active union. It was then that staff and parents at Henry Maynard began to raise ideas to put pressure on the school head, including organising a parents' meeting with the head teacher to express their concerns. 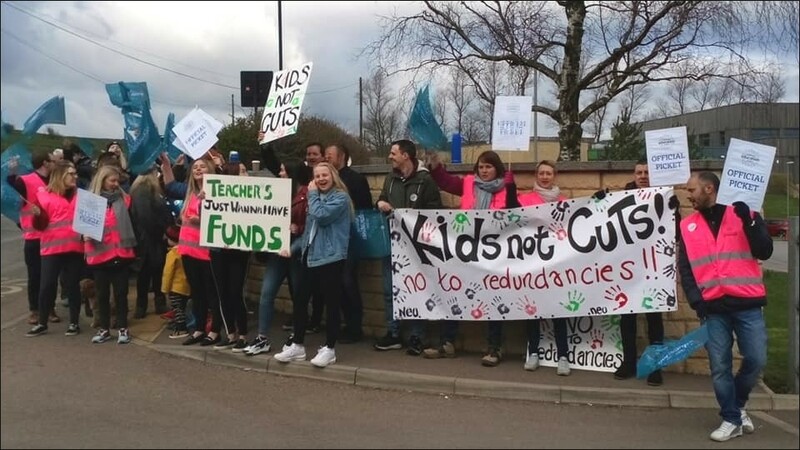 Cuts in other schools came to light - like a four day week, and posts not being replaced when people leave, and eight teachers and eight teaching assistants threatened in another big school. 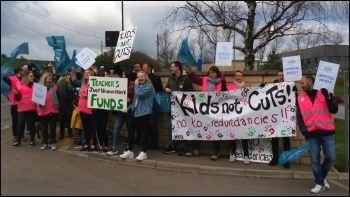 Concerned parents in Maynard School have now set up regular communication to organise to stop the cuts; and it was agreed to produce a leaflet for the parents and organise a further meeting. The next day, Unite mid-day assistants in another school expressed their wish to get involved in the campaign. 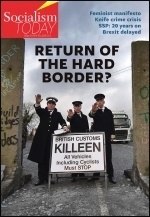 If a lively campaign can be organised along similar lines to the trade union council's housing campaign - which played an important role in the victory of the Butterfields tenants in Walthamstow - then we will have a real chance of building a serious fight to stop cuts in the borough, as part of a wider national campaign to force the government to bail out schools not bankers.